The time has come, dear readers, for the North American Nintendo Download Update details. This week has a range of promising download-only releases on both the Wii U and 3DS, while some high profile demos also nudge their way into view. Throw in some discounts (including some that feature a certain Blue Blur) and you have quite a lot to consider, so let's get to the details. Missed the European Nintendo Download Update earlier in the week? Don't sweat it, the information you need is right here. 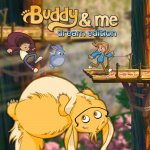 Buddy & Me: Dream Edition (Sunbreak Games, $4.99) - This is a hugely colourful and charming endless runner that was previously released on smart devices; naturally the Wii U edition has some enhancements to suit the home console. It looks like a lovely game, and you can learn more about it in our interview with the developer. Defend Your Crypt (Ratalaika Games, $2.99) - With retro-style visuals and a full stage view, this is a twist on real-time strategy and defence as you set traps to prevent treasure hunters stealing your gold. The concept certainly has potential, so we'll dig into a review and let you know what we think. Hot Rod Racer (ZeNfA Productions, $2.54) - The second title from ZeNfA, this adopts a top-down view for some pacy racing, with some customisation options also available to boost your vehicle. We'll hit the roads and bring you a review. Humanitarian Helicopter (Peaceful Games, free) - A rather primitive looking title in which you fly your helicopter through tricky 2D environments to rescue and assist people in need. We can only assume this will have in-app purchases as opposed to being given away for free; we'll see whether it's worth a flight of fancy in a review. 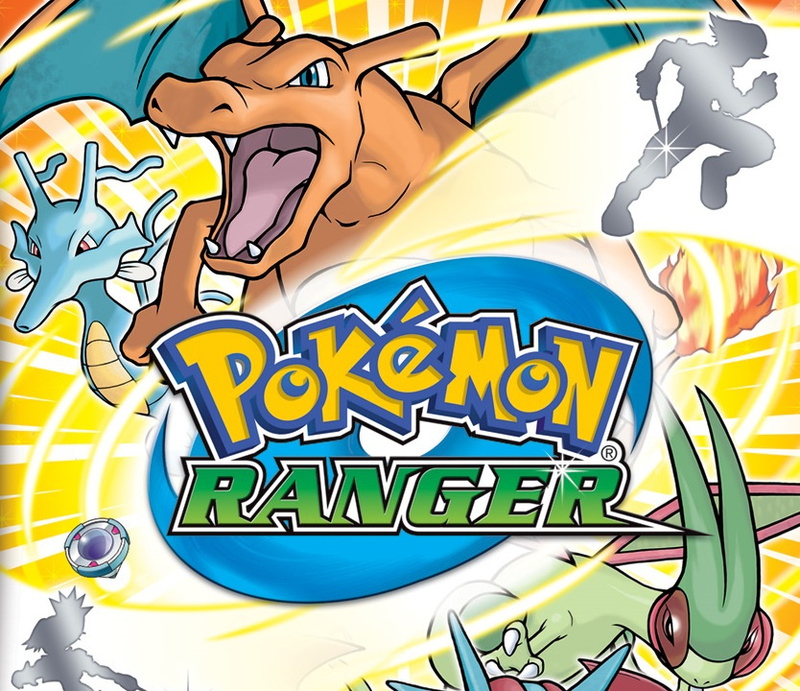 Pokémon Ranger (Nintendo, $9.99) - A DS game that launched a sub-series, this has you play as a Pokémon Ranger who uses wild Pokémon to help overcome various obstacles and protect the Fiore Region, and Pokémon within it, from the Go-Rock Squad. Temporary capture of these Pokémon is done by circling them on the DS's touch screen, or in this case the GamePad touch screen. We gave this a modest recommendation in our Pokemon Ranger review. 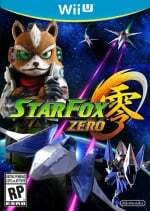 Star Fox Zero: The Battle Begins + Training Demo (Nintendo, free) - Includes the full animated short movie. Ninja Smasher! (PUMO, $3.99) - A side-scrolling action title with a cute aesthetic, you play as a rather athletic ninja that can use a variety of weapons to dispose of foes; it could certainly be fun, and we'll check it out in a review. Defend Your Crypt (Ratalaika Games, $2.99) - The same game as on Wii U, but available on the go. Wind-up Knight 2 (Unity Games, $5.00) - This is a runner in which you swing your sword, jump, roll and use your shield to survive; titles of this type can potentially be enjoyable, of course, and as a New 3DS release this is also one of the standard-bearers for the Unity engine on the portable. We gave the Wii U version a modest recommendation in our review, and will see how this one fares on the handheld. Should be noted that Hot Rod Racer's price is a 1 week launch sale. Goes back up to $2.99 in a week! MIGHT get Pokémon Ranger but other than that nothing. Was hoping they release all three Ranger game but oh well. More EU catchup for NA I see! Was hoping for more turbo grafix. Just the demos for me. Putting the demos up for Starfox before release would have served the customers well, yes, but would it have served Nintendo? Good chance the sales would be even worse as people we left scratching heads over the controls. Are we ever getting Ziggurat? Or Bit Dungeon+? Nothing for me. Back to MonHunGens and Pokemon GO! @SavageGM So do you play games 37 hours a day? Given how often people complain that there aren't at least a dozen fantastic titles every week I can only assume nobody has any backlog of any sort and and that everybody has so much free time that they need that much content to fill it. Only, I can't figure out how anybody has that much time. Also, I doubt most people who complain that nothing appeals to them in a given week buy something every time something does. Whining is free, after all. Star Fox demo? All the more reason to beat Darksiders II and clear it off my system's memory. @TTGlider @CreamyDream Here's another theory. Nintendo decided that 2nd half of 2016 had the best potential for SF0 sales because there's only 1 Wii U exclusive left for the console (Color Splash) so Wii U owners will have to choose between Color Splash, games they haven't played and nothing. Hence releasing the demo at this point trying to give the view of "Oh there's virtually no Wii U games left, let's try the SF0 demo incase it's good. The controls are infact not as bad as others were saying so I'll buy this now!". If this theory is representive of Nintendo's thinking we'll also see TMS#FE, Color Splash and XCX demos appear in the near future. Yay, another Animal Crossing theme for me! nothing for me this week. maybe the Pokemon ranger game but I doubt it since I haven't gotten the Mystery Dungeon games yet. Maybe I'll get them next month. @PanurgeJr no I don't. But I do expect for Nintendo to be competitive in the video game business. Instead they trickle out the 3rd party trash ware. Then their lemming like fanboys demand nothing better. Crap sales and a complete lack of self awareness. Also I do buy stuff when it's something good or competitive. Sadly that's not often due to Nintendo living in its own world relying on its defense force to continue to embrace it's stagnant status quo. Actually, some people just like buying games and collecting a digital library. It's odd, but not too odd if you compare it to people having massive libraries of books in days of yore. They likely had massive backlogs of books to read but kept buying the next big name book. Old habits die hard? Nothing for me this week, I'm content with my backlog. @CreamyDream "Those demos should've been out like a week before the game's release to hype people up." You think the sales for Star Fox were bad already, had a demo been available before that game released it might have sold even worse. @SavageGM Nintendo isn't responsible for third-party software, that's why it's called third-party. There's an indirect relationship of course, but you're not offering a critique of any of the systemic problems that've led Nintendo to this point, likely because they're old news and not especially highlighted by the matter at hand. @Fath thus the critique that their 1st party games under their control and not released should be made. I hope this makes sales pick up a little. @ericwithcheese2 I guess its a yay? but I'm kinda tired of it oh well... day 1 buy. @PanurgeJr Well said! This is a solid week in my book, but my backlog is so intense that I'm pretty much forbidden to buy anymore games. At least whining isn't the only thing being offered for free this time; I'm defs gonna pick up The Battle Begins! Everyone b*tching about the late Star Fox demo is in the same boat as everyone who made fun of Miyamoto asking people to "give it another chance"
I've been playing it daily since release in little bits and loving the crap out of it. What's the harm in Nintendo realizing that idiot press ruined its sales and to make another push? It's a fantastic game that no one is giving a shot because they're brainwashed. Yeah. Things get quite intense in the real game. You'll be looking back and forth quite a bit. Monster Hunter Generations. Cant stop playing. I did play through Bonk last week and had a blast. Wouldn't mind more TG16. @SavageGM Fair enough; that wasn't super clear from your initial post. Just the Star Fox demos for me. Wow, they finally released SFZ and SFG demos? I'm stunned, another good move by Nintendo. And don't be so down on them @Grumblevolcano the trend the past 2 or 3 years does seem to be release the demo after about a month. I'm guessing their thinking is - people who want it will buy it day 1, no demo needed, some people will get turned off by the demo before buying, so wait, and some people will want to try before buying, but they can wait too. So while I do feel your pain about the lack of Wii U games this year, I don't think this demo releasing now has anything to do w/ that, it just makes sense to release a demo awhile after the game, especially when the game is selling so poorly it needs all the help it can get. I know it's been way more than a month since the game released, but I still think it's a good move. I mean we still have Splatoon splatfest, if you want to be really cynical they could have waited until after that. Also, my kids and I wanted SFG but we kind of forgot about it. Offering the demo now may get us interested. A sale may get us interested as well, but demo now, sale later, gives them a way to keep the game in the public eye. We have no use for SFZ but we'll play the demo and who knows? 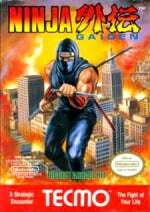 I'll also look into Ninja Smasher, since that description sounds like something I'd enjoy. Btw, wasn't Gotta Protectors supposed to release today, or is that not until August? I marked both the Star Fox Zero and Star Fox Guard demos. I've never played any of the Star Fox games, so the demo will hopefully give me an idea of what the series is about. As for Guard, I've always been mildly interested in that one. Where's Gotta Protectors/Protect me knight 2 wasn't that supposed to come out today? 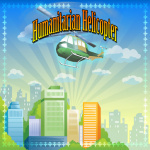 @ThomasBW84 Humanitarian Helcopter is showing up as $10.00 for me, not free. Nintendo was just to slow in uploading the demos for Star Fox Zero. So I have done play through the Star Fox Zero game for free, but I might still purchase it for my Wii U Collection. Meh, too busy playing MHGen anyways. I'll download any demos that have no play limits, cuz might as well. Yay free game, and I'll get the Star Fox Zero demo just so I have that awesome cartoon on my Wii U. Otherwise, I'm good with this - I still need to work on stuff I already own. Gee, thanks for releasing the demo months after the game came out. Could've saved me 60 bucks. @rjejr So you are saying that they want to get the people who wouldn't like the game after trying the demo to buy it before they know they don't like it? Are you ok with that kind of behavior from Nintendo? what? no mention of the blast ball demo? Blast Ball it seems for me. Got my self Hot Rod Racer......although I won $20 eShop card from the developer a few months back so I guess he bought it for me. Still I had a lot of fun with ZaCisa's Last Stand and probably would have given it a go anyway. It reminds me of Spy Hunter which I loved as a kid so the nostalgia is probably clouding my vision but it is a fun tough hi score chaser. Needs a few additions though so hopefully the developer continues support of it like he did his other game. @Crono1973 Well that is the way the whole world works, hence the phrase caveat emptor, buyer beware. I'll get Pokemon Ranger so I can play it someday (damn backlog!). Liked Shadows of Almia, so I hope the original is just as nice. @CreamyDream You make some great and valid points... unfortunately Nintendo isn't hear to listen. They are too busy counting all the money rolling in from Pokemon Go. Just be happy we are still getting game for WiiU and 3DS. Clearly, Pokemon Go was all Pokemon Co. and Niantic. If Nintendo would have had their way, it would have been exclusive to Samsung or the 6 Plus iPhones. They wouldn't know a great idea if they weren't handed to them on silver platters. Even then, they'd be grumbling that what glitters wasn't golden. It's amazing that the starfox demo can actually be so crap it puts you off buying it! @PanurgeJr doesn't stop Sony and Microsoft from posting tons of stuff each week. A little variety goes a long way....many gamers out there with many different tastes. And stop defending Nintendo. They're big boys. And they've been terrible especially NOA!! @rjejr ..and it's not ok. I just bought the starfox zero/starfox guard game set at Bestbuy for 29.99 during their black Friday in July sale. I can genuinely say I don't get the complaints people make about the controls at all. I find them intuitive and easy. Unless you have three thumbs or something like that. As for not being as good as starfox 64 I also disagree. The reason many are saying that 64 did it better is because all of the secrets get revealed BEFORE the game is even released! Theres nothing to discover because game articles and videos show you everything. During the 64 era we were still buying EGM and didn't have near the amount of spoilers we're prone to today. I highly recommend starfox zero. It's a great fun game.